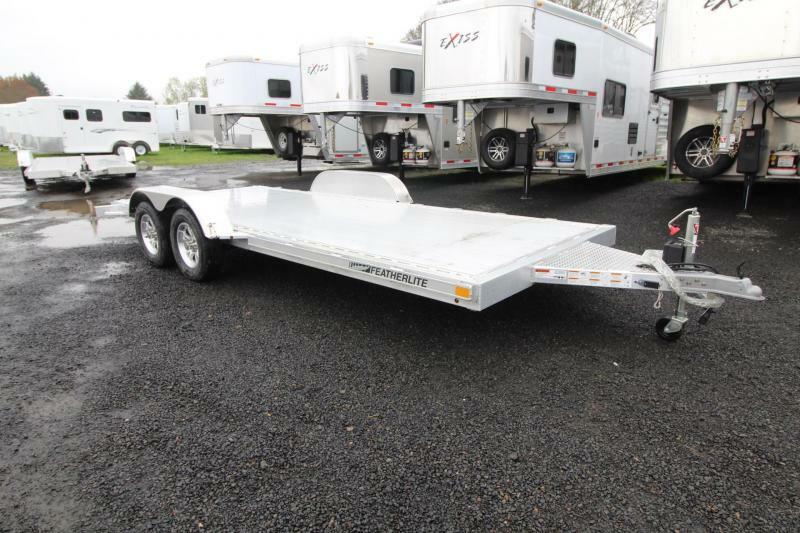 Show off your vehicle with the Featherlite bumper pull Model 3110! 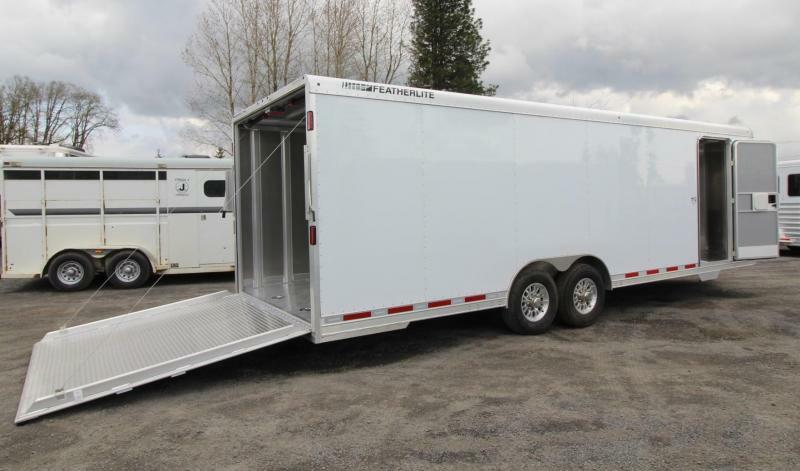 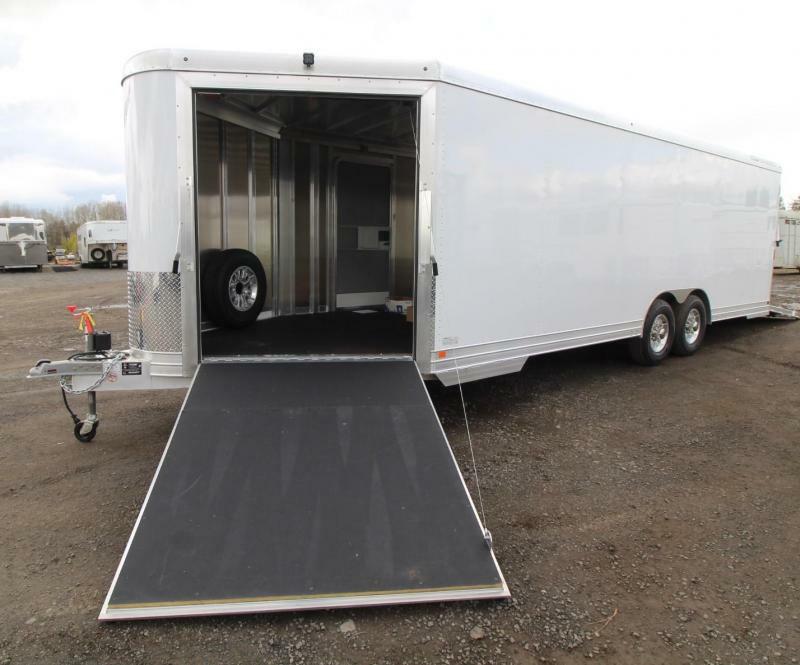 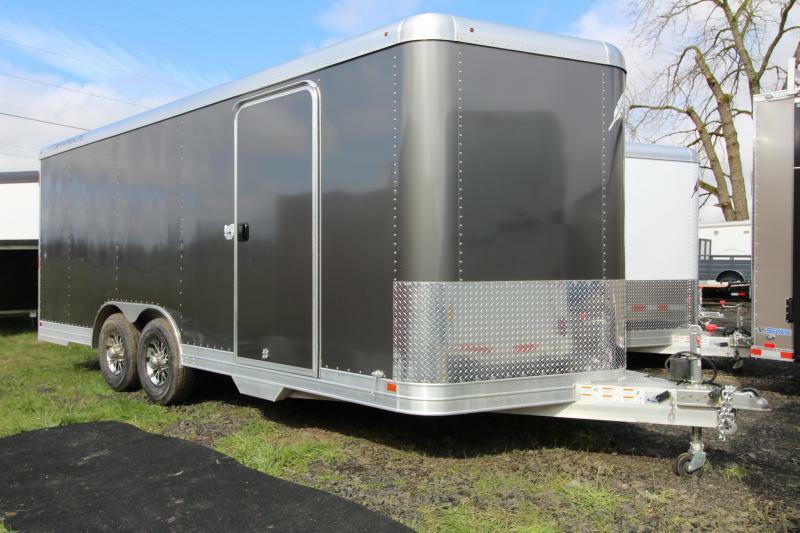 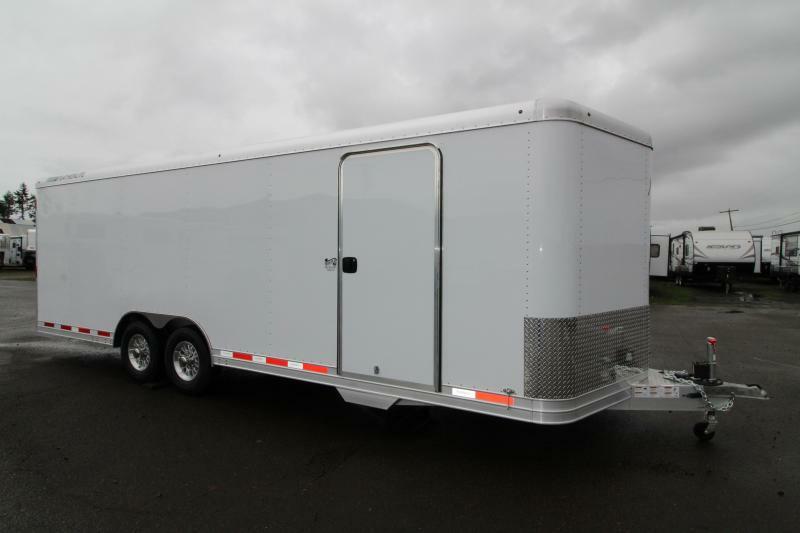 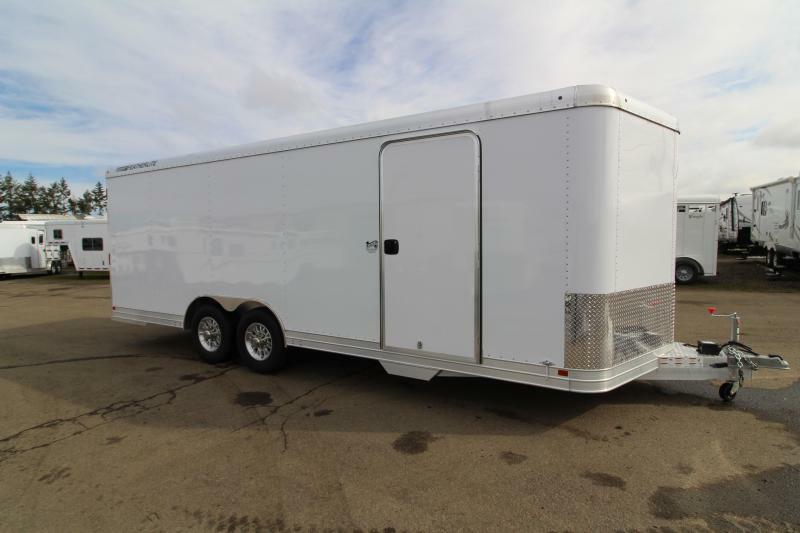 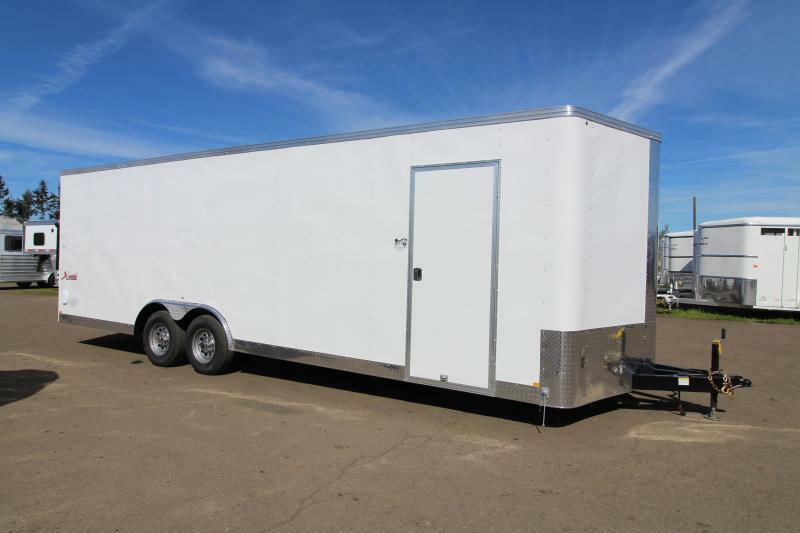 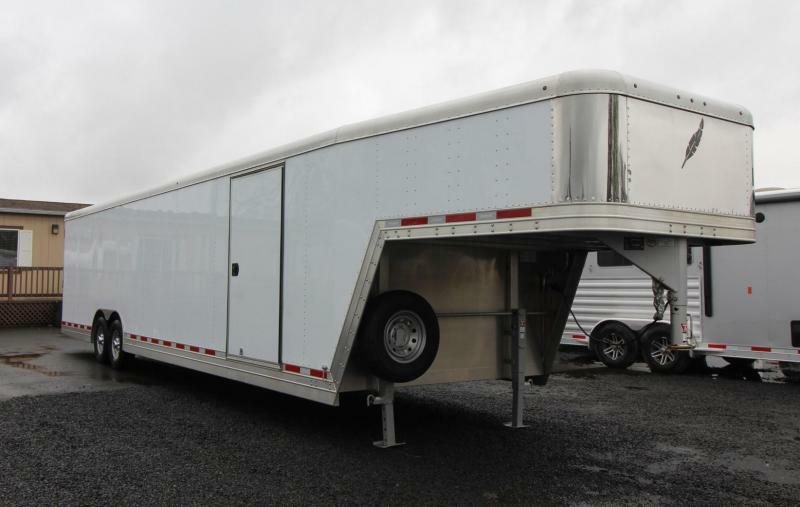 This open car trailer offers a platform to dynamically display your vehicle and offers several standard safety features to give you peace of mind during travel. 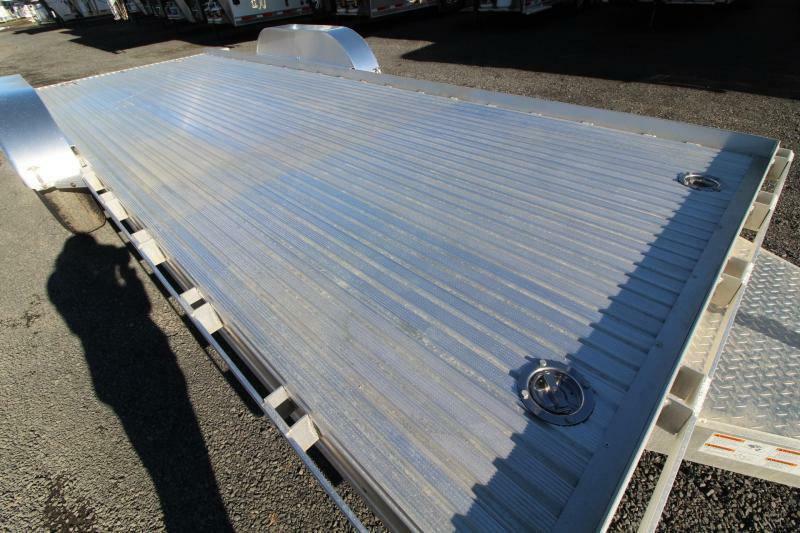 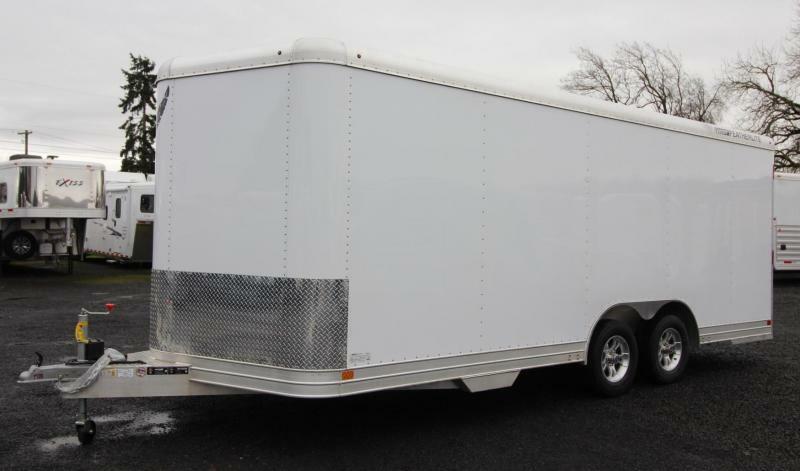 Four stainless steel swivel D tie downs and a skid resistant aluminum floor come standard, as do removable fenders. 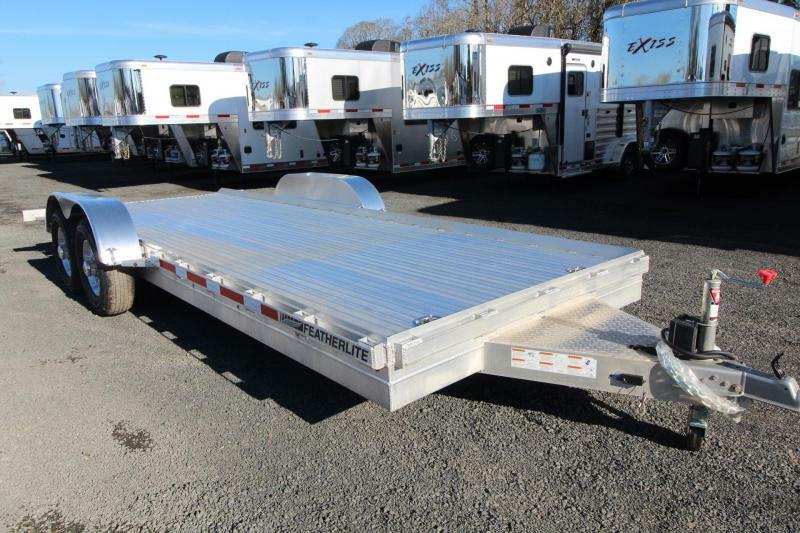 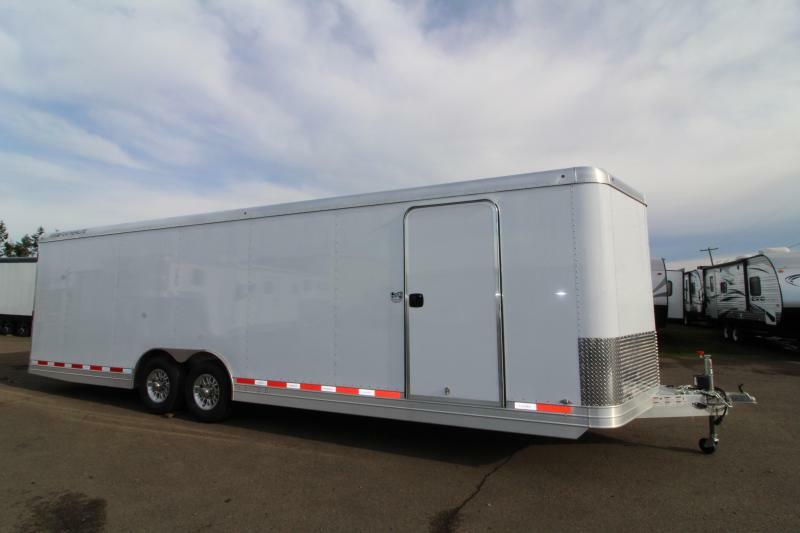 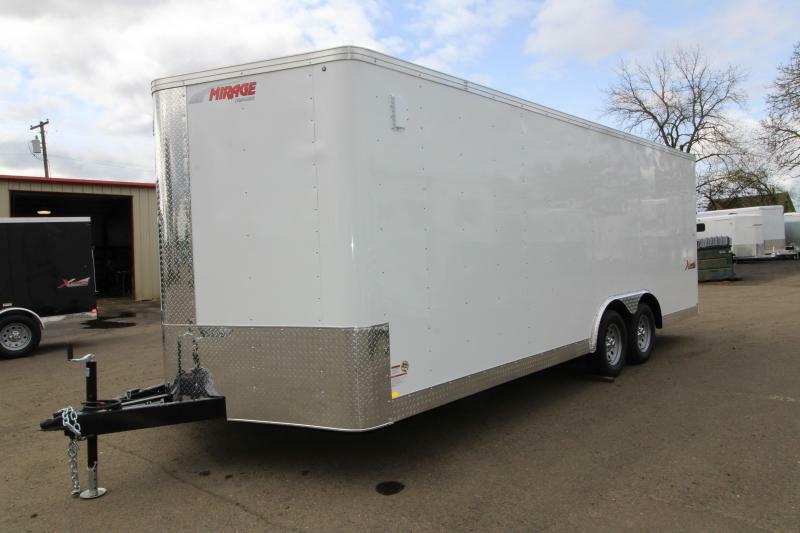 Turn some heads with your car on a 3110 Featherlite car hauler! 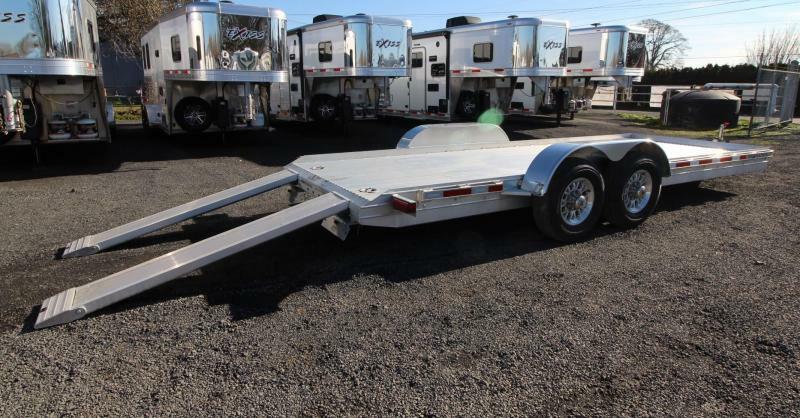 Fender to Fender width: 79"
Tandem axle 5.2K rubber torsion. 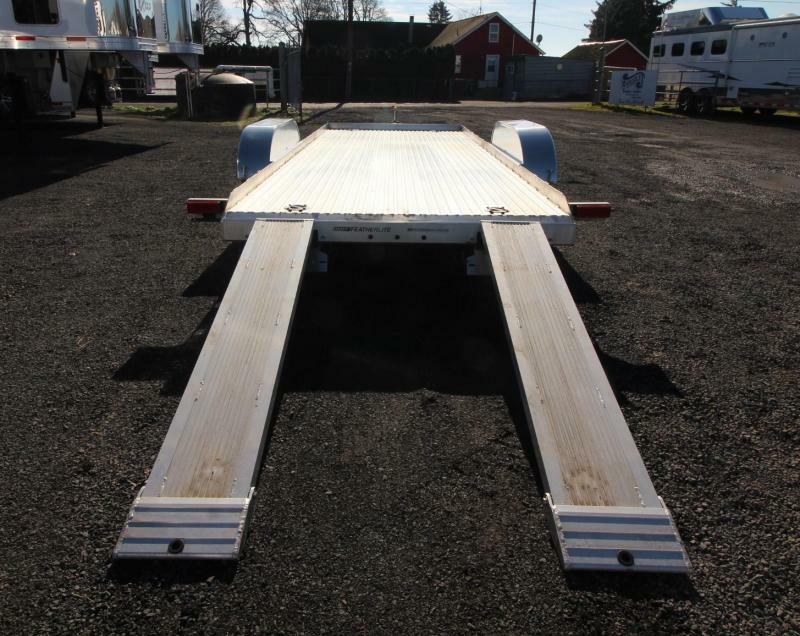 Stake pockets (Inside dimensions are approx. 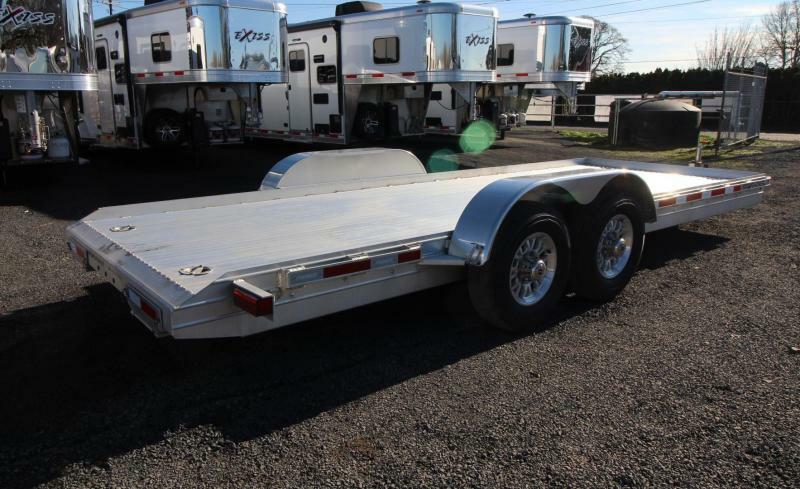 3 5/8" wide x 1 9/16"
10-year limited structural warranty; 3-year bumper-to-bumper warranty.